Elle's living the dream--but whose dream is it? Elle loves her life in Beaufort, South Carolina--summer days on the sand bar, coastal bonfires, and dinners with friends, sharing a lifetime of memories. She's found her stride professionally as the owner of a successful art gallery. Life is good. And she's found love with handsome, confident Jeremiah Franklin. But Jeremiah has accepted a large pastorate in a different state, so Elle turns her life upside down to take "the call" with him. When Jeremiah has a change of heart, Elle is hurt--and her faith is shaken. New York lawyer and recent widower Heath McCord imagines the lowcountry cottage he's rented for the summer is the balm his grieving heart needs. That and time to connect with his little girl. 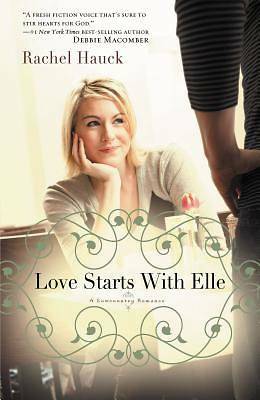 He's unprepared to meet his beautiful landlord, Elle Garvy, or the love her friendship awakens. But God has new blessings in store for the two grieving hearts. Can Elle trust so soon after losing Jeremiah? Can Heath release the memory of his wife and love again? Could love be as simple as trusting enough to take the first step?